Vintage drawing of a tall tree. 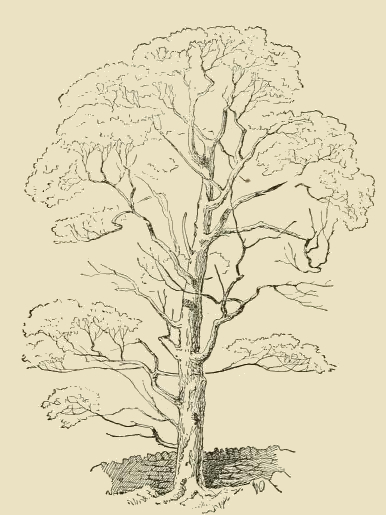 This tall tree drawing is in public domain which means you can do whatever you wish with it – colorize it, crop it, whatever. Its branches are airy and light where much of the focus is on the lovely branches and strong trunk. This drawing and a number of others were drawn by William Walker (b. 1821) and included in his Handbook of Drawing from 1880.